I had a couple of ideas for posting this week, but some other posts and comments that I read recently made me think about some of the lower points in the past year and how being able to share those with like- minded pet owners is such a huge relief. I mean, having a Pit Bull type dog leaves you open for some pretty hearty preconceptions. On one hand, I try to keep a balance between the upside of owning and living with a Pit Bull type dog and how sometimes there are very challenging days. I mean, there are times when I just sat and cried but didn’t post about it for fear that the words freely expressed on the internet might end up as fuel for the anti-pit bull fire so I always try to balance what I write and keep it pretty positive but sometimes you just need to get it out there and have people who are able to relate without judgement. Realizing that Ray hasn’t even lived with us a full year yet made me really think about the trials and tribulations we’ve endured because as I’ve stated many, many times I never wanted a puppy, but puppy I got so now we’re in it for the long haul. We visited Ray and his litter mates several times while he was in foster and we were pretty sure he was our baby, after all he was so sweet and calm and cuddly. Until he came home and it turns out he wasn’t acutally a dog but a shark wrapped in white and black fur. Ray was a little chewy, mouthy, razor toothed shark, but luckily he was fairly easy to redirect from feet and fingers to his stuffies and chew toys. When we started leash walking, that was just another whole ordeal that I never want to relive. It’s amazing that a puppy that can’t jump into the backseat of a pickup can jump high enough to rip the fabric on the upper arm of my coat, but the backseat might just be another story altogether. My point is that reading about other really great dogs online like Miss M, Athena, Turk and Rufus and even the Chickerdoodles who all might have their own “issues” but are absolutely wonderful and entertaining dogs really makes me feel good in that we all read each other’s blogs and gain support from our online community. No one has the perfect dog and that’s ok because they’re ours and we love them. ~I’m having picture uploading issues today, but hope to have it fixed soon. Absolutely. Probably the majority of my blog posts have been about being frustrated with our dogs and asking for advice. And then I'm really glad when people comment and say they've had similar experiences, because it makes me feel like I'm not a totally terrible dog owner. Our dogs are FAR from perfect, but we wouldn't trade them for anything. Oh yes, this is a great post and has the perfect words to explain exactly how I feel ALL of the time. I've never shared this with the online world, but for the first two-three months that we had Athena I had some MAJOR anxiety. Like, I could not eat. Athena was such an out of control dog that I thought we would NEVER have a normal dog and that I would get a hand ripped off before it was over (or that heaven forbid she would bite someone else…and then we would be sued…..and then Athena would be put to sleep….and then we would be subjected to making a bad name for pit bulls….). And every incident that occurred B and I had to discuss if we were really skilled enough to deal with Athena's issues and therefore the topic of returning her to the shelter came up every time. I would cry and cry because even though she was so naughty, I didn't want to give her up. I swear it was the blogging community that got me over my anxieties and made us keep Athena. I'm so grateful for every comment that I get on the blog because it has helped me to realize that everyone else is dealing with some degree of dog issues too. Athena is far from being perfect, but she is soooooooo much better than when we first adopted her. There are days (and nights) when I just want to go back to my calm, collected, normal life. 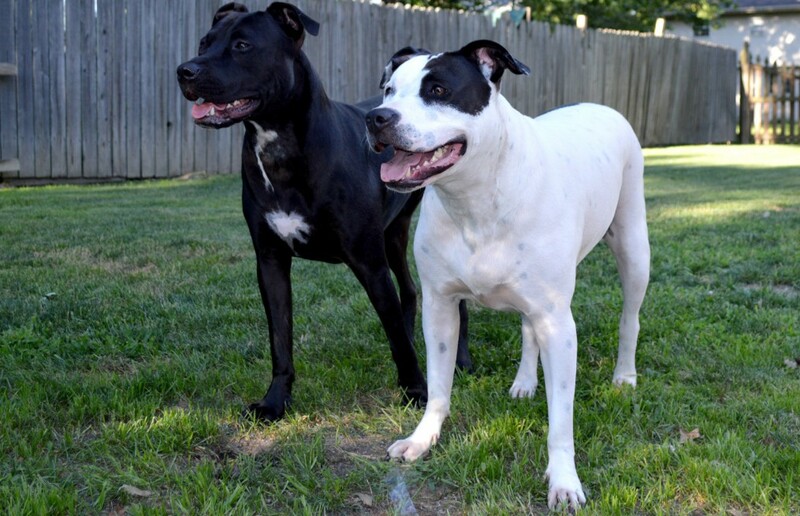 As the Mama of 4 dogs, all with some sort of 'bull' in them (mostly Pit Bull), I have hard headed. male overload.. When they are growling and fighting and trying to kill each other, I look at them and think, maybe I should call Katie and have her find them different homes, homes with people who can deal with a hard headed dog. But then they get all lovey and huggy on me, and I can't imagine my life without any of the 4… So we keep on, keeping on, and I keep praying that I can survive the puppy years and get them into their 2's and 3's so hopefully they will calm down… Gonna be a long year, considering Jack is the youngest and isn't even one year old yet…. We love them so much and that's what makes the good times so much better and the not so good times more bearable. I cried when I read this, A. I have scars on my hands from puppy teeth (and for fair and balanced, I have scars on my arms from the cats) and the times I sat crying on the floor because oh-my-gosh-this-darn-dog-is-going-to-live-to-terrorize-me-for-the-next-15years! But thankfully we all have each other and great trainers to rely on and each day our pooches get better and better. 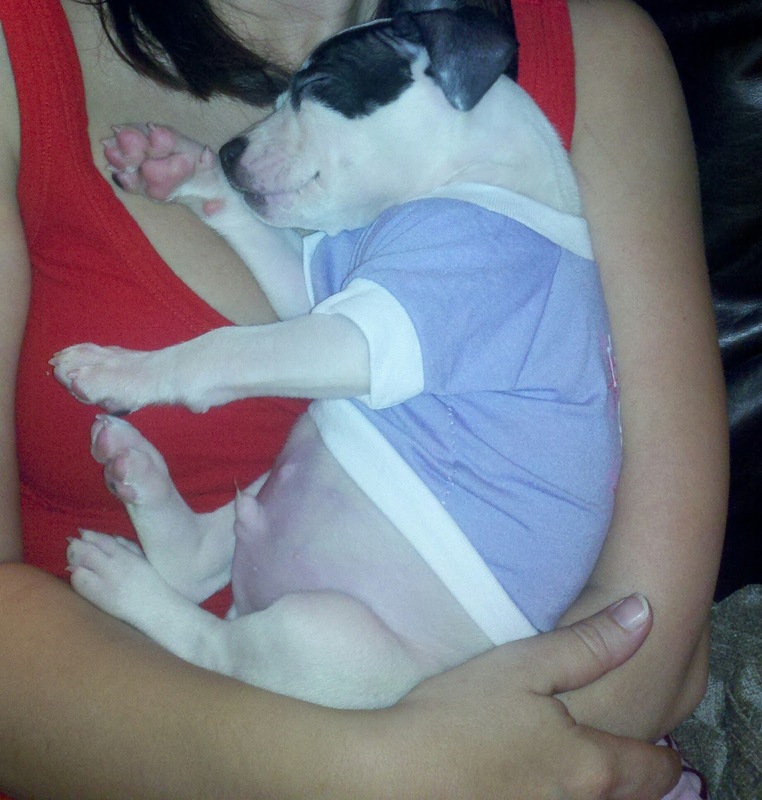 Thanks for sharing and for being a part of this awesome Pit Bull-type mama community! My dog has issues to, but I'm able to accept that and I still love her! I wish I started my blog sooner when I only had Kaya, she was so challenging for me and I scoured the internet for training advice, but never thought about writing about it myself. There were many days where I was in tears and often considered finding her a new home. A little bit of advice and encouragement would have gone a long way. I think it's great when people share their struggles because we all have probably been through it or will in the future. I don't think it sheds a bad light on pit bulls, it actually shows that they are just dogs like any other and they have owners who care enough to spend their free time sharing their stories, both good and bad, and love for their dogs and those of others too! Thank you for sharing your thoughts! Have a dog,or any pet, is one of the most challenging yet rewarding things. Keep with it, and remember we are hear if you need a rant! I'm like Two Pitties…I wish I had more documentation of when I first adopted Miss M and all she wanted to do was play tug-of-war with the leash. We were like a bad episode of the Coyote and Roadrunner. This online community has been so important to us too and just realizing that everyone is still a work-in-progress. I can't ditto these comments enough! We just got Maggie in September and all of the blogs like yours, Two Pitties and the other few I found right away saved me! I was/am much like Pitlandia in that I worry about everrrrything when it comes to the dogs. What if they don't get along?! What if they fight again and rip each other's ears off (I love their ears!)!?! Reading about other owners' trials has been a lifesaver.